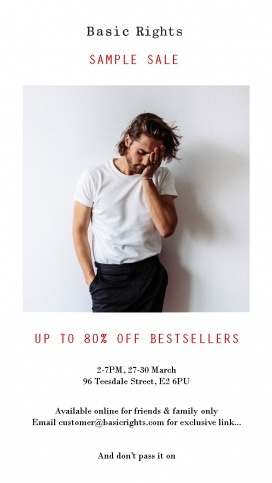 Shop for apparel and jewellery at reduced prices at the People Tree Sample Sale. Jewellery for as low as £2 and apparel for as low as £8. 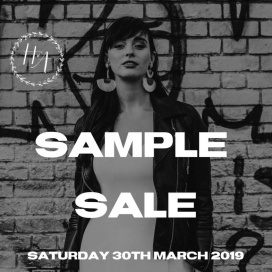 Shop for women's apparel at reduced prices at the Lowie Sample Sale. Shop for bridal gowns at discounted prices at the Heart Aflutter Bridal Sample Sale. Designers included are Emmy Mae, Lena Medoyeff, Laudae, Tara Lauren, and Truvelle. Sizes are 8 to 22. 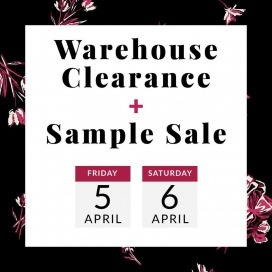 Take 50% savings on wholesale purchases at the Mirabel Edgedale Showroom Sample Sale. The sale will feature womenswear by Atoir and Marchesa Notte. Cash and check payments only. 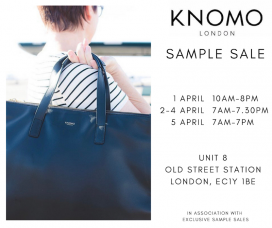 Enjoy big savings on luggage, organiser, and laptop bag at the KNOMO London Sample Sale. Cash and credit cards are accepted. Shop for women's footwear at reduced prices at the Tracey Neuls Sample Sale. 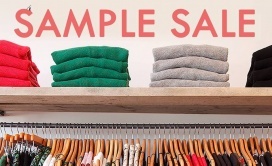 Take up to 80% discount on women's apparel at James Lakeland Sample Sale. The Sale will be comprised of one off sample items. Shop for kids' beachwear and swimwear at reduced prices at the Sunuva Sample Sale. 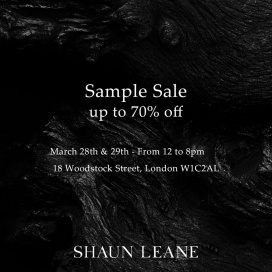 Take up to 70% discount on jewellery pieces at the Shaun Leane Sample Sale. Take up to 75% discount on women's apparel and accessories at the Chiltern Street Studio Sample Sale. 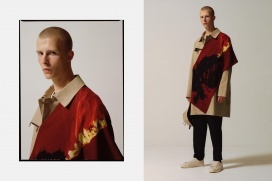 Brands included are Rose and Rose, Attic & Barn, Hod Paris, Crossley, James Jeans, Humanoid, Jumper 1234, OFF Wear, Mes Demoiselles, Primrose Park, and Rabens Saloner. 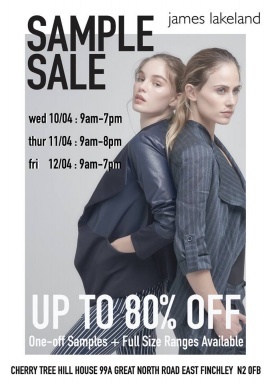 Shop for women's apparel at reduced prices at the Needle and Thread Sample Sale. Shop for women's apparel at reduced prices at the Deborah Lyons Exclusive Sample Sale. Shop for men's apparel at up to 80% off at the Basic Rights Sample Sale.